“All I have needed, thy hand hath provided…” goes the hymn that was so popular with the congregation where I grew up. It’s a nice little hymn and speaks in a personal way about the reality that our Scripture readings for today attest to: that God provides everything for his people, from first to last. Yet sometimes, the circumstances of our lives beg us to ask, “Where is God in all of this?” Or, “Can this really be his will?” That line of questioning almost never leads directly to something which might strengthen your faith. It either leads to despair, or it produces a faith in our circumstances themselves, not in Jesus Christ, the “bread of life.” Nor does it shape a person to “desire a better country.” God has not promised that we will be able to see him in the circumstances of our life. 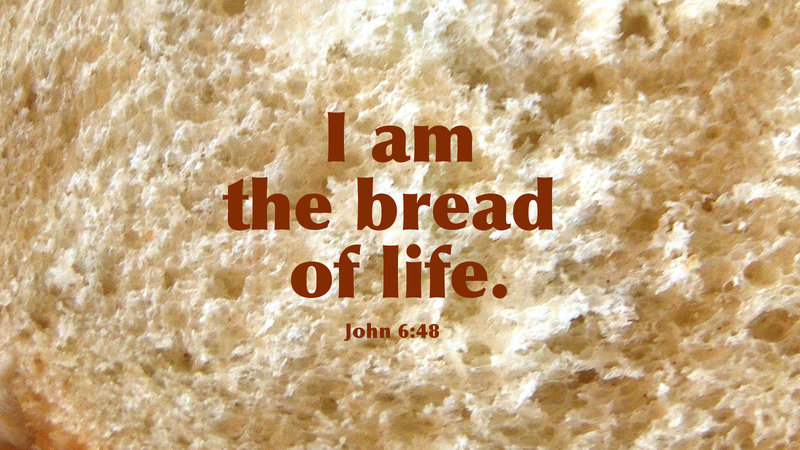 Prayer: Lord, thank you that you have provided everything for us, drawn us to yourself, and fed us the bread of life. Amen. Today’s devotion was written by Scott Smith, Pastor of Christ Hamilton United Lutheran Church, Stroudsburg, PA.